Serving as both a private and a social space, decorating the living, dining, and kitchen area can is a big deal. These three large rooms are the ones most commonly merged to define an open-living plan. These rooms are key to create a welcoming space of any dwelling, both for the home dwellers as well as the visitors. The open living plan has one major advantage; it makes the area feel more spacey. Use a unified colour for wall paint. Both furnitures and wall paint ideally would compliment each other. This would double the effect of enlarging that the open living plan possess. That does not mean that you need to use the exact same furnitures or the exact same shade for everything. You can simply unify the style of the entirety of the unified room as well as several key features you can define throughout the space. The kitchen used to be a place that is hidden far from view of the visitors. However it isn’t the case anymore. Kitchen is a great space to be made a focal point of the LDK (living, dining, kitchen) area. There are numerous ways to make the kitchen a catchy, pleasing visual of the room area. Using overhang lamps is one of the popular ways of drawing the eyes to the kitchen. Make clever use of lighting to create moods. Installing large countertops is an implicit way to invite people over to sit down and hang out in the area. Couple it with barstools and you’ll have a fashionable space perfect for entertaining. Multipurpose divider that could double as a storage space is an excellent option, unless you prefer those that are purely decorative. Display your items in an open-cabinet without any closed shelves. It’s an excellent way to display your collections as well. You can even put everyday items that you use frequently. 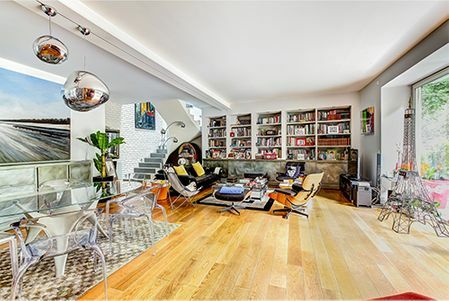 Books, ashtray, wine, bowls—virtually anything can be on display, as long as you coordinate it tastefully. You can install your divider in the living room area to differentiate the space from the dining or kitchen area. Putting up artwork that take up a whole vertical line of the space is going to draw the eyes up, putting more emphasis on the room’s height. You can also put up several large artworks on rectangular canvas of the same size that make up a series or an entirety of the work, making your wall one of the features of your room. If you prefer them, you can also use plants creatively as a room divider. Potted bamboo as a room divider is a popular option for this. Bamboo is very low-maintenance and does not need a lot of watering, making it a good option for an indoor plant. If you prefer a large potted plant, then making it as a focal point of your living room altogether is a good idea that would bring a fresh perspective to your room. The market is shifting as more homebuyers are more educated and grow thorough awareness of the environment they live in. This is especially true for the next generation of homebuyers. Millennials care about causes. From being vegan to emphasis on minimalist and energy efficient houses, they certainly have refined their tastes. It’s been proven that green houses is no longer a trend. Despite the report that millennial took longer to own houses compared to their previous generations. Millennials will soon dominate the home buyer market, as they’re slowly, but gradually taking over. Ignorance is not an excuse that you’re simply not educated on what constitutes a green house. The usage of Energy-star appliances does not mean a property is “green”. Don’t do false advertising. Homebuyers are now looking far past the label of “green”. They’re looking for certifications, proper home orientation, home design, materials, thermal mass, and so forth. Solar houses is one of the best, if not the best, environmentally friendly and energy-saving houses out there. There’s a reason why the most environmentally friendly and the most energy-effective houses are called solar houses. Focus on that. Don’t neglect the outdoor environment. Plants play an essential role in keeping a house’s temperature well-regulated. Rows of trees or well-placed evergreen shrubs do an excellent job in blocking the harsh winds during the winter. They can also help block the sun during the warmer months. Plants provide a certain comfort that no constructions could provide. On top of that, your property will be literally “green” and just a glimpse of the curb appeal would make a very convincing first impression. Plants would improve your home value greatly. Use thermal mass strategically. They help prevent a sudden drop in temperature and vice versa. Likewise, this means that it will take longer to cool and to warm a house with a large thermal mass. 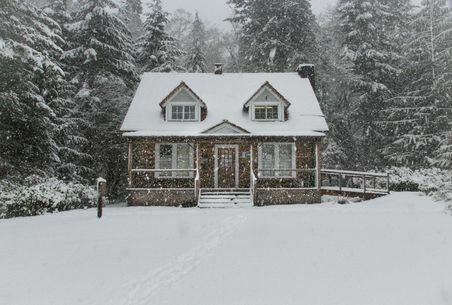 Regardless, having thermal mass helps in protecting your house from the extremes. Temperature regulation is something that can be greatly contributed by the orientation as well as the construction of your windows. Your windows should ideally be able to absorb solar heat properly when facing 30 degrees of south. Make sure that an overhang is installed correctly for windows that face south to prevent overheating and harsh sun rays from hitting the indoors. Windows play a major part of your house’s temperature. Therefore it’s important to remember to construct them well, with an optimum amount in the designing and construction stage. 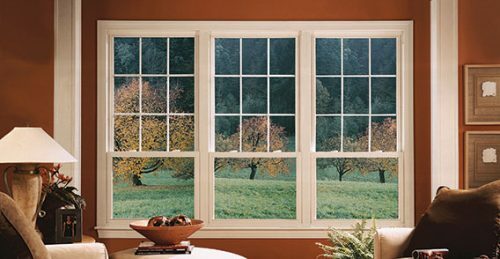 It can be very costly to change the size as well as the amount of the windows in your house. One of the most effective ways to improve the energy efficiency of your house is by making sure that your windows are all double-paned. Double-paned windows provide much better insulation against the temperature. There exist a space for gas that provide insulation between the two sheets of glass. Doubling your window panes has been known to reduce energy costs of a building up to fifty percent. Do You Know What the Organic Bamboo Bedding Is? Have you found that the organic bamboo bedding set is somehow important to be used? Look, you are trying so hard to make a good and healthy house design and atmosphere, things are, you may miss many important details. Have you ever think that at least your duvet cover, bed sheets, etc are also parts of your interior and they could contribute in giving you the healthier living? Chances are, you may never think about them. You just bought things as you like while thinking they will be help you and make you comfortable with them. Rather than just the bedding equipment, you can make use of the organic bamboo bedding for more comfortable, healthier, and even an environmental friendly sleep. You have my words in this! What is the organic bamboo bedding? Now, that’s will be the first question for those who don’t even know about the organic bamboo bedding yet. Most of you will have known that I am talking about your bedding equipment such as pillows and their cases, the sheets and covers, and many more. All you have got on your bed and even on the coach. The term organic is usually representing something that is not only comes from nature, but also have great positive impact to our body or environment. Something that hasn’t been contaminated with the bad chemicals so it will be perfect to be used by us without worrying anything. Simply put, it is likely the safest thing for human. That will also valid for the organic bamboo bedding whom the babies up to the elders can uses it. If you have been sleeping on your bed, then woke up in a sudden with the sweats almost all over your back, sometimes it can be caused by the bed sheet you were using before if you really never have such health condition. In a hot day or night, the sheet, bed cover and all around your bedding can absorb the hot temperature and later distributed to your body. But that won’t be happening (mostly) because the organic bamboo bedding will help you with that. It is not a myth when the manufacturer telling us that the organic bedding made out of bamboo will helps you feel warm in a cold day and otherwise. That’s what most of the linen fabrics are doing in such weather. Pretty much a magic, right? That’s the true and if you think about it again, it will really perfect to be used by the babies or children to keep them comfortable and have a good night and day sleep. So with the older people especially the grandparents, you can help them because they are deserved to get the best organic bamboo bedding in their age for the above reasons and the others. For the reasons related to the environment, many of the organic material (plants) that are needed by the industry of all sizes. Some of the plants are still alive and can be cultivated, but many of them have become extinct. But not with bamboo. It has the great survival method. When the harvest period has arrived, we don’t have to break up to its roots. Simply cut down the bottom part of its stem so we needn’t to plant the new seeds for the next harvest season. We can replant it the bamboo so it will really save our time and for the industry, this may helpful for saving more money. You have known some of the above facts which are the best news so far, so would you like to buy the organic bamboo bedding for your family? Bigger is better. But not all big furniture brings comfort into your home. Large and expensive traditional furniture does not always make you relax. Bean bag chairs bring and guarantee the comfort of your rest anywhere. 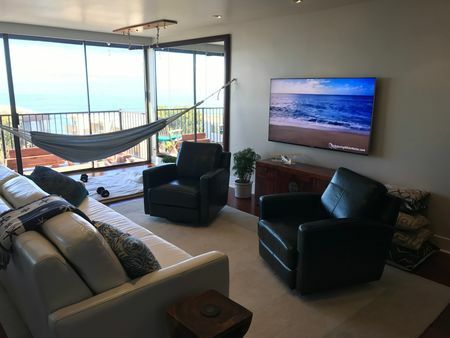 When you choose to watch on television with a small screen or a large screen, of course, you will choose a widescreen television. This also applies to bean bag chairs. The bigger the size you choose, the greater the comfort level of your rest. It will be difficult to find who doesn’t like bean bag chairs. Their shape is common like traditional furniture. But talking about comfort, bean bags are king. The shape is large and really soft. They are made with a simple but trendy and luxurious design. Large pockets containing styrofoam granules can make everyone easy to find your comfortable position. Bean bag chairs began in the 60s, the Sea Urchin Chair was designed by Roger Dean. This is the only furniture made that fully suits the needs of users. in 1969, bean bag chairs grew and developed in the hands of Italian designers Gatti, Paolini, and Teodora. The development of bean bag chairs is increasing as the market interest is getting higher. Socco bean bag chairs were hit an icon in the 1970s. They become part of a relaxed lifestyle. Many people like furniture that is formed to follow the user’s body. One interesting thing about bean bag is that therapists have observed that this furniture is perfect for helping children with sensory integration problems. In fact, in today’s modern era, people are increasingly busy. It’s hard to find long breaks. Sometimes many people are reluctant to rest in uncomfortable furniture. The mistake of choosing furniture to rest will make your body tired. Eliminate your old furniture and immediately replace it with bean bag chairs. They are the cheapest way to get comfortable furniture for various events in your home. At present, the materials they use today are tailored to everyone’s needs. People need furniture function. Bean bag chairs are indoor and outdoor furniture that you can carry easily. They are light and easy to move. Resting for a moment when your daily hectic help restores your energy. Bean bag chairs are perfect for you to place in the office room. This is amazing furniture for your hectic day. Make sure you have bean bag chairs that match the size and size of your room to look harmonious. Bamboo linen fabric is basically the fabric that made of bamboo. It can be used as your bed sheets, towels, pillow cases, blankets, bamboo duvet covers, etc. Mostly will be used at your home and you may will often finds the fabric inside your bedroom especially as your bedding tool or equipment. Since most of the bamboo linen fabric used for the bedding, I will also sum up few of benefits that we can get as well as the environment itself. Living in an era where the environment is threatened because of a variety of large-scale industries, requiring all of us to appreciate life even more. We can contribute in saving lives of our future generations, and it can even start from your bed. Saving environment is saving lives, too, and by using the bamboo linen fabric in your house, you have being the better example for the others. Just because the bed sheets or duvet covers you are using made of the organic material, doesn’t mean that they are good not only for your sleeping but also the environment. We have to make sure that the process from beginning to an end is quite environmentally friendly. There should be small traces to our nature, so there will be small negative impacts as well. 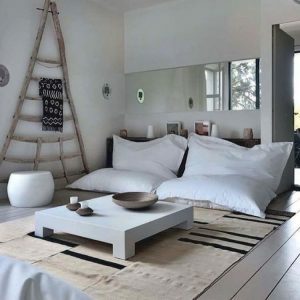 So that, I have prepared some of the benefits of bamboo linen fabric that can be the reasons why you should have it and then using it everyday in your house. At least, when you are going to sleep at night, you will be more comfortable and keep on contributing to the better environment. Besides the pyramid, Egypt is also known for its silky fabric that is soft and comfortable. Now, with the bamboo linen fabric, you have more options where to find the best pillow cases or duvet covers for your bed. You can now even buy it from Asia, US, countries at Europe, and even Africa. This is because there are many places are supported for growing the bamboo without being involved the pesticides. Bamboo itself is also less in consuming the water but still contributing more of the oxygen for us which making it even better. 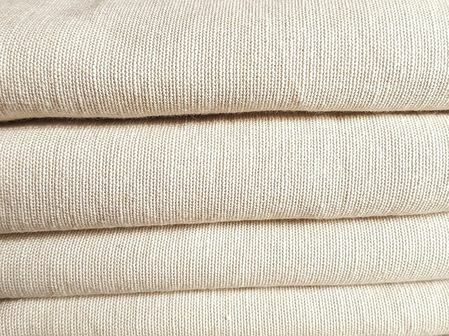 Make sure the products that claimed as 100% bamboo linen fabric is not only made of bamboo, but also got the official organic certified just like from USDA and OCIA (Oeko-Tex Certified). If you have the blanket made of bamboo, many of us should give you a thank. It is because you have saved us from getting the nature more threats. Bamboo is growing faster than some or even many of the plants in this world. If you have planted hundreds of it, you may will see your own forest under a year. If many of the fabric related industries are using the bamboo for many kind of our clothes, shoes and socks, etc, then there will be more oxygen in the air, and there will be possible more of the waters in the ground to be produced. The fiber yield of the bamboo is also tens times higher than the usual cotton we have ever known until today. And, bamboo itself has no equal for sustainability. It doesn’t requires for the fertilizer if you want, you don’t have to deal with the irrigation system as well and doesn’t need for replanting. Almost all of the green products can be achieved just by using the bamboo linen fabric. You are the one with hypoallergenic? Fear no more! There are some of us with the sensitive skin. But this is not about the cosmetics you are applying on your face at this moment. It is about the duvet cover, sheet, or the bed cover you often use for your bed. At first, it may sounds ridiculous why (for example) your sheets should be hypoallergenic. But, we should understand that there are also people like that in this world and there should be someone or the fabric company helping them. Mostly, the bamboo linen fabric is also hypoallergenic. So, they with the sensitive or allergic skin, should be perfect for using it. 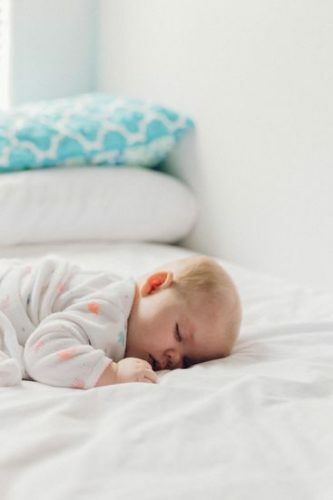 It is also good for babies or children since they have sensitive skin because the linen fabric made of bamboo is one of the best antimicrobial properties that also make it highly resistant to germs. Even though it will be hard to find out how is the very first thing the fabric companies are doing, hopefully they were also taking the vegan-friendly step to make sure that the processes of creating the bamboo linen fabric is really respect the environment and all the living creatures. There shouldn’t be any of the animals harmed or hurted in any aspects or reasons. Sunrise, sunset, and relaxation are very related. Enjoying outdoor gives satisfaction to everyone. Even people are willing to visit the beach area just to enjoy the atmosphere. For some fishing lovers, it is a moment that truly relaxes the mind and body. A calm mind and relaxed body can produce something extraordinary. The popularity of lounge chairs, bean bags is increasing. They have light properties and mobility. This is perfect for those of you who want to have a relaxing experience in many places. They are multifunctional indoor and outdoor bean bags. The outdoor bean bag is perfect for creating relaxation. Designed with a trendy, sporty model that is able to keep up with the development of furniture of all time. The ease of maintenance makes it look always clean and like a new one. For those of you who live in the coastal area, then you must be satisfied. The ease of accessing the beach area, enjoying the atmosphere, sunset or sunrise will be very profitable. 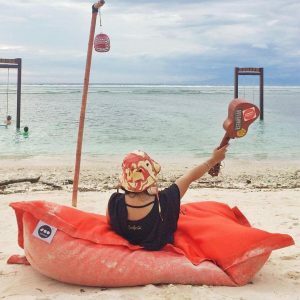 It would be better to enjoy the beach and outdoor bean bag with beer or wine. Don’t be surprised if your friends will be jealous to see it. Every time is fun to enjoy your beach day. You just have to carry an outdoor bean bag without spending a lot of energy. Fishing requires concentration. You must be calm and relaxed when fishing for satisfying results. Sometimes many people spend time fishing without thinking about catches. Fishing, relaxing, relax with an outdoor bean bag has its own comfort and satisfaction. No wonder fishing is a perfect choice when your mind is frantic and upset. 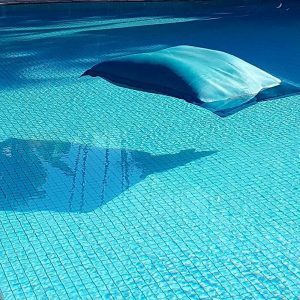 If you have a private pool, buying an outdoor bean bag is a must. Bean bag is the best and comfortable furniture as long as you are looking for outdoor furniture. The price of an outdoor bean bag can compete with other furniture, and a cheaper guarantee. There are many outdoor furniture with varied models and prices, but few can satisfy you. The best outdoor bean bag is made with waterproof and fire resistant material. When you sink in an outdoor bean bag they provide the highest comfort support for your body. No need to worry when your outdoor bean bag is stained with wine, barbecue sauce when it’s fast. You can easily clean light stains with a damp cloth, or open the cover for heavier stains. Reason Why Bean Bag Gives An Ultimate Relaxation? When you see the world, there are many changes. Changes towards a better and more modern direction. Changes that occur can be seen as slow or fast but not inevitable. Because of this change, everything went well and smoothly. One of the changes that keep happening is furniture. If we look at old furniture, art is very important. At first glance, we will know that it is old furniture. The furniture material used also experienced development and change. A beanbag is one of the furniture that is developed to provide comfort. They are made based on the daily needs of everyone. The more days, the level of busyness and stress a person higher. For that, it takes furniture that provides an ultimate relaxation. A beanbag is designed and made so attractive for comfort and utility. High mobility makes a person need more rest. Made with PVC and beans, the bean bag will be very soft, does not cause discomfort or injury. Couch beanbags are very popular on the market. They are not only as furniture but also as beautiful decorations. This modern type of chair is available in various sizes, types, and colors. Their size is very suitable place in any room in your house. Another plus, they are easy to move and are lightweight. No extra power required to move them outdoors. Taking a break with a bean bag can help relax muscle tension. This is also one reason why bean bag chairs are highly recommended by bone doctors for daily use. They are made to facilitate your life. With the zip system, you can easily open and wash it so that it looks always new. It takes only a little care to keep clean and not waste a lot of time. If you feel uncomfortable, check the bean bag stuffing immediately. You can add beans or replace it with a new one. Your bean bag will be comfortable to use again. Manufacturers continue to develop. At present, they are resistant to water and fire. You don’t need to worry if you put them outdoors for a long time. Every change in bean bag provides more comfort for its users. You can entertain guests using proudly. They will feel comfortable while visiting and praise your intelligence to choose the best furniture at home. Consider using a luxury bean bag in your home, outdoor or indoor. They are comfortable and best furniture for your home and affordable. The outdated traditional sofa may look antique to some people. You will not go back to using the 70s furniture. Maybe your home looks antique but you do not know how long the furniture will last. But most people always replace the furniture in a certain period of time. There are various reasons people replace furniture. Damage is the reason most people replace furniture. Bean bag chairs are one of the timeless furniture. Beanbag chairs were very popular in the 70s. You will find this is the right furniture for your home and a nice choice. This type of furniture is quite cheap, great and bring various benefits. Currently, the market is flooded with furniture and decoration to add life to the living room. Bean bag chairs are very popular in the market these days. This furniture is the perfect setting where you can get comfort and relaxation. If you experience stress at work, then home is the most comfortable place. Sit back relax can relax the muscles and eliminate fatigue. What if the furniture also does not provide comfort? These chairs are also perfectly used daily to improve the posture of the spine. A beanbag is designed and manufactured for the convenience of its users. In its development, the Seats were developed for comfort and safe use. Currently, they are made more quality with double stitching. With higher standards, then they are safe to use for all ages. Bean bag chairs are perfect for decoration. They look simple and luxurious. There are many choices of sizes, colors, and shapes to enable them to fit home or office décor. You do not need to spend a lot of money to buy it. Save hundreds of dollars and have a stylish and trendy space. Imagine moving a traditional heavy sofa. You need a lot of help to move it. This type of chair is light so easy to move. You can move and take it anywhere. That is, you will feel comfortable wherever bean bag chairs move. he most important benefit of beanbag is as an autism therapy when at home. Bean bag chairs are able to follow their body shape while sitting. They can also be used as load therapy to train their arms and legs. Some children with sensory problems need the means to crash themselves hard and often. Bean bag chairs are the right furniture and safe for children with autism.